Septima Poinsette Clark, photograph by Ida Berman, ca. 1960s, courtesy of the Avery Research Center. 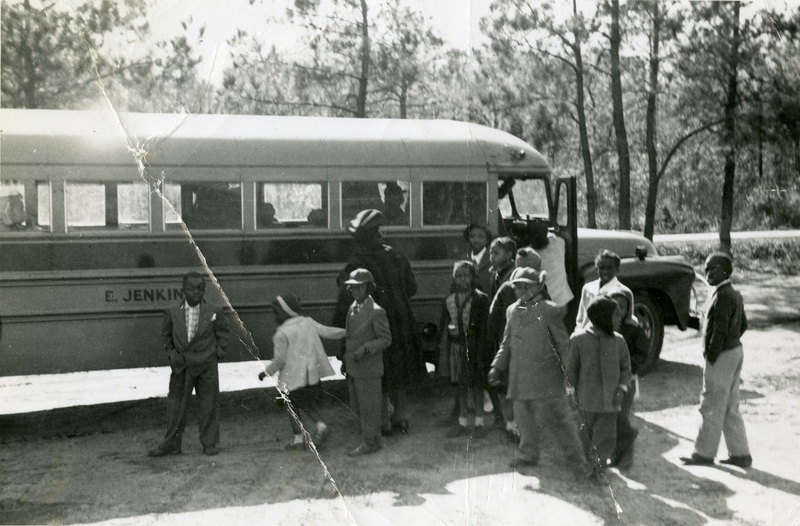 Children riding Esau Jenkins' bus, ca. 1950s and 60s, courtesy of the Avery Research Center. 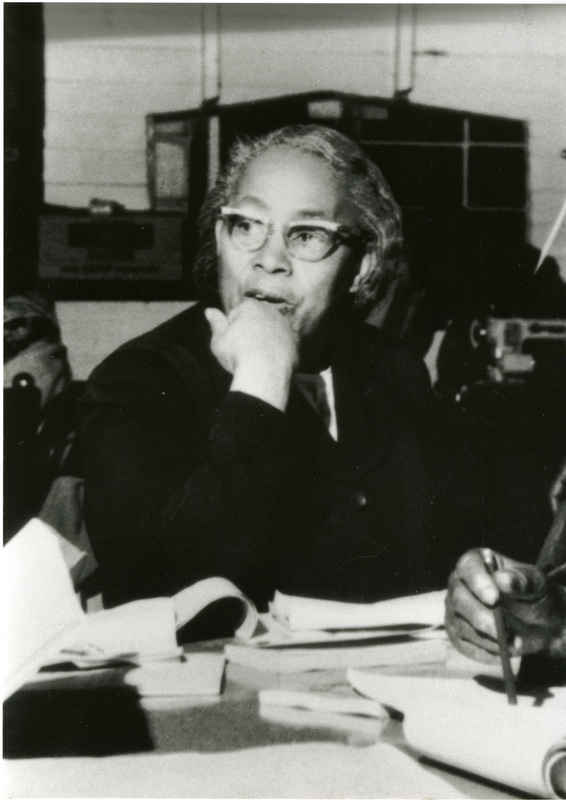 Septima Poinsette Clark was a nationally influential civil rights activist and educator. 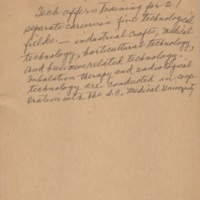 Due to a citywide ordinance mandating that only white teachers could work in Charleston’s public schools, Clark left Charleston after graduating from the Avery Normal Institute in 1916 to become a teacher on nearby Johns Island. She worked in this sea island’s Black community for three years before returning to Charleston to teach at Avery. 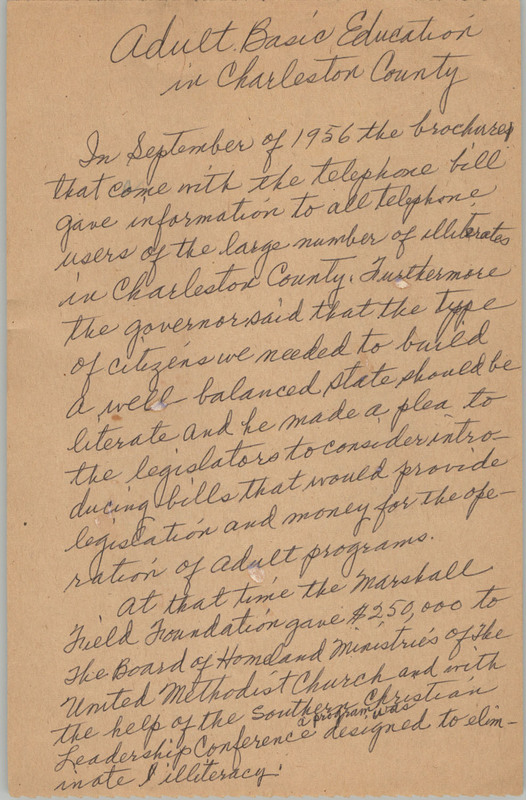 During that time, the Charleston branch of the NAACP organized a major campaign to overturn the city’s ordinance against Black teachers. 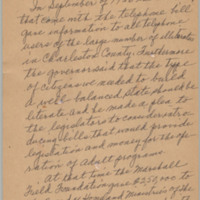 As her first foray into political action, Clark joined this successful campaign in 1919. For over three decades, she taught in various public schools in Charleston and Columbia. 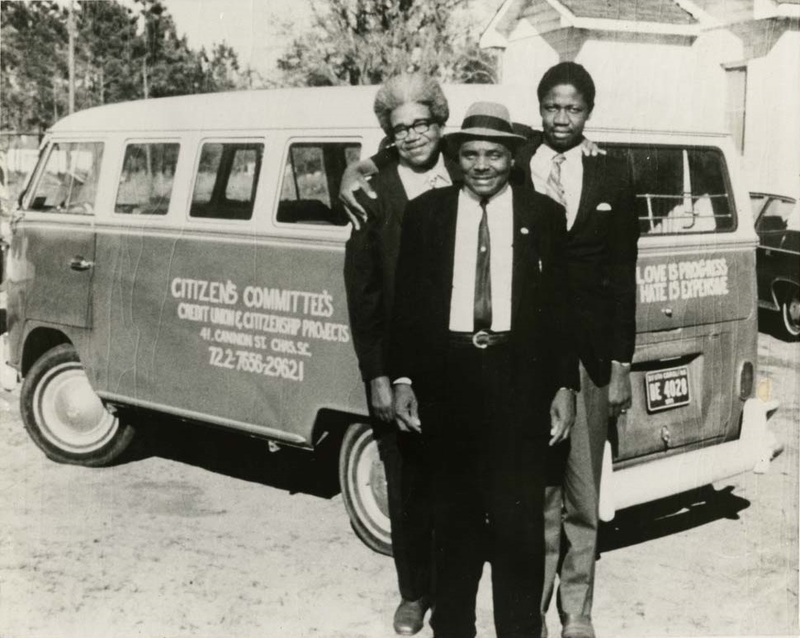 Esau Jenkins (center) in front of the Citizen’s Committee bus, accompanied by Reverend Willis Goodwin (right) and Alfred Fields (left), ca. 1950s and 60s, courtesy of the Avery Research Center. 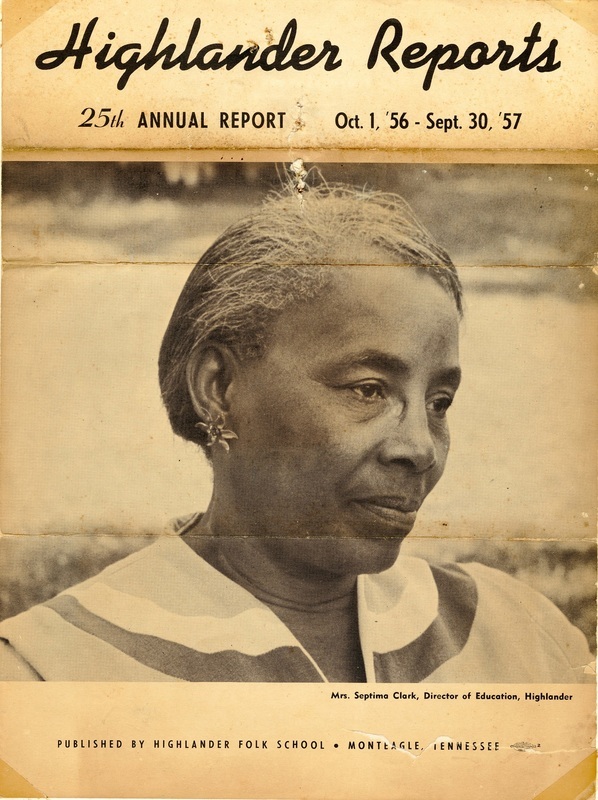 Image of Septima Clark on the cover of the Highlander Report, 1957, courtesy of the Avery Research Center. 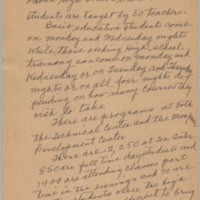 Handwritten essay entitled “Adult Basic Education in Charleston” by Septima Clark (page 1 of 4), ca. 1957, courtesy of the Avery Research Center. 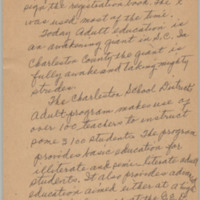 Handwritten essay entitled “Adult Basic Education in Charleston” by Septima Clark (page 2 of 4), ca. 1957, courtesy of the Avery Research Center. 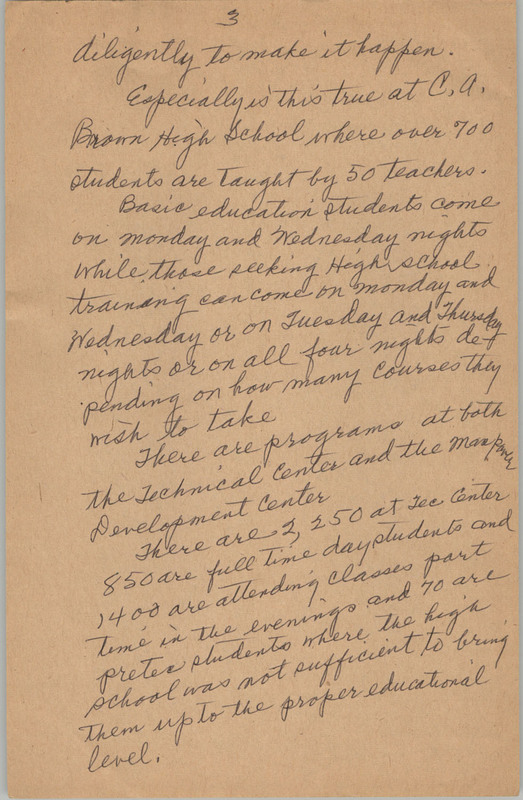 Handwritten essay entitled “Adult Basic Education in Charleston” by Septima Clark (page 3 of 4), ca. 1957, courtesy of the Avery Research Center. 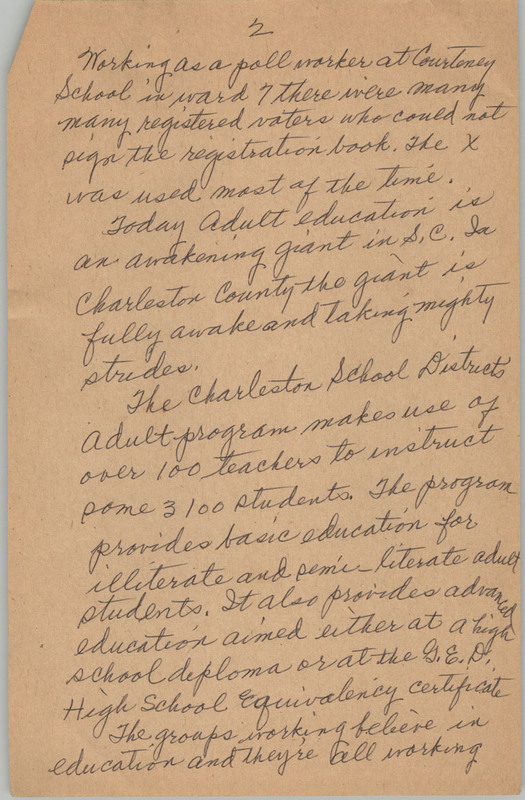 Handwritten essay entitled “Adult Basic Education in Charleston” by Septima Clark (page 4 of 4), ca. 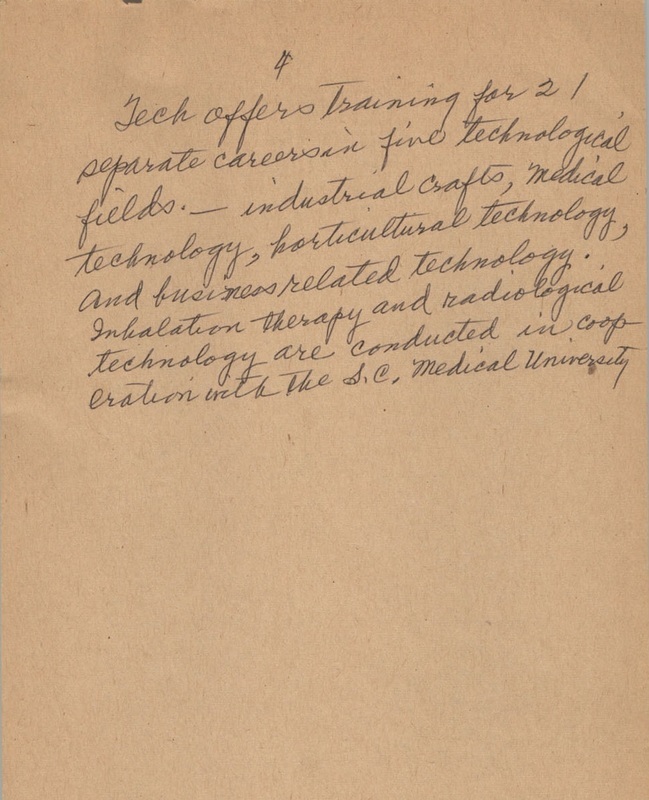 1957, courtesy of the Avery Research Center. 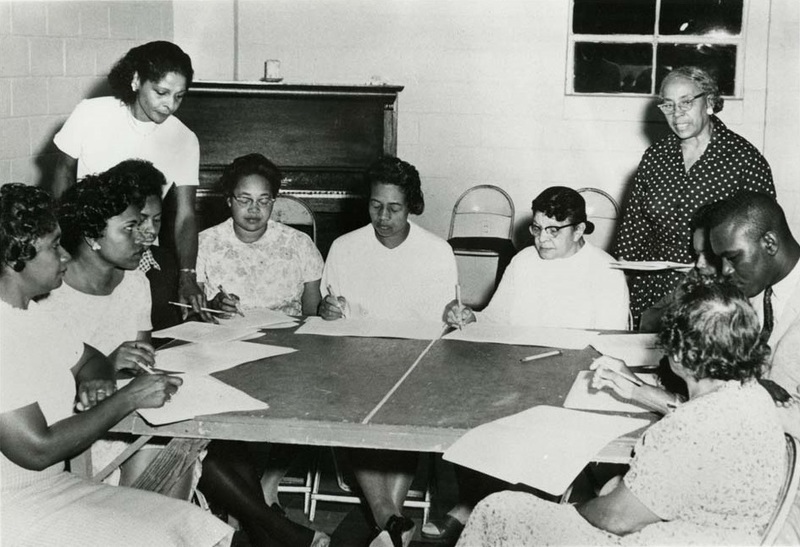 Septima Poinsette Clark (standing, right) and Bernice Robinson (standing, left) at a Citizenship School teacher-training workshop, ca. 1960s, courtesy of the Avery Research Center.